For one, I can (sort of) speak Spanish. I’ve made friends. I even have a (sort of) job! 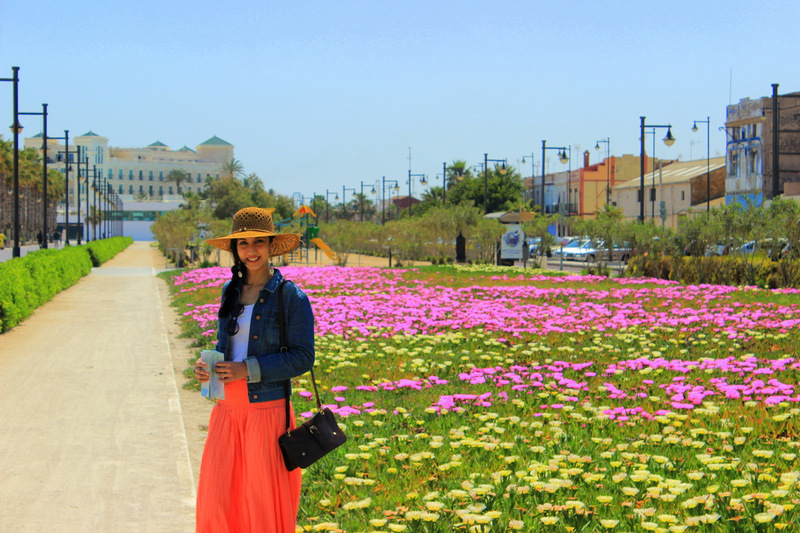 I can navigate the city fairly well – I’ve visited the doctor, the dentist, the real estate agent, the immigration bureau, even the police station (don’t ask), without any major communication disasters occurring. I’ve traveled around the country a fair bit. I’ve been taken for a local and given directions to lost tourists (score!). And, though there are obviously bothersome things about every country, I find myself quite enamored of Spain. Here are just a couple of reasons why, in no particular order! 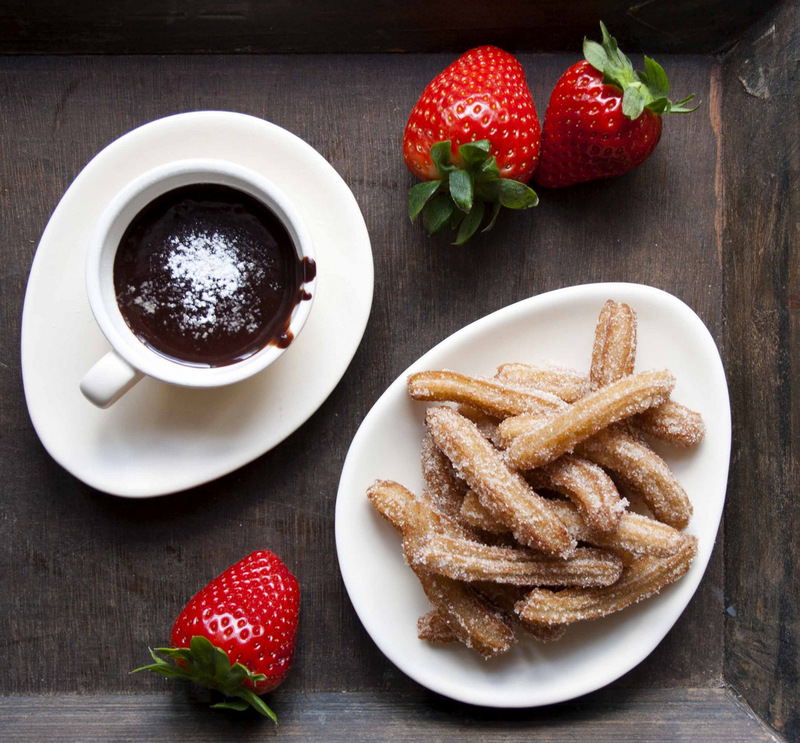 It’s traditional to begin AND end the long Spanish days with a cup of thick, intensely dark hot chocolate, often with a side of churros (long, deep-fried dough pastries for dipping). Some chocolaterías, like the 19th century San Ginés in historic Madrid, are open 24 hours – so you can amble down for an indulgent treat any moment it grabs your fancy. A chocoholic like me can’t complain! Spain does festivals like nobody’s business, second only to India when it comes to the sheer number of public celebrations and commemorations in the country. The most spectacular among these is Semana Santa or Holy Week (Easter), curiously similar to Ashura in Muslim countries, where participants in full costume re-enact Jesus Christ’s crucifixion and resurrection over the course of 7 days with elaborate floats, music, and in some places, self-flagellation. There are festivals dedicated to saints and to devils, to horses, flowers, geese, tomatoes, bulls, newborn babies, even paper-mache monsters! You can literally roll out of bed in a printed shalwar and T-shirt and step onto the streets of Madrid or Barcelona perfectly in sync with fashion. Harem pants, as they are known in the West, are a perennial component of the trendy Spaniard’s wardrobe – the baggier, the better! Could “dressing up” get any easier? Dark-bearded men and nose-studded women are as ubiquitous on the streets of Spain as in Pakistan, partly thanks to hipster trends. So you can comfortably sport your preferred style of facial hair (if you are a man), or a nice twinkly nose piercing (if you are a man or woman), without the least fear of being eyed suspiciously and stereotyped “terrorist”, “punk”, or, most annoyingly, “oh-so-exotic!”. Stroll under the Damascene arches of the oldest surviving mosque in Europe, the Mezquita of Cordoba, dating to 785 A.D. Wander through the ethereal Nasirid Palaces of the Alhambra in Granada, the Muslims’ last stronghold in Spain. Treat yourself to a milky Té Pakistani in an evocative tetería. There is an undeniable romance about al-Andalus of yore, and for some romantic reason, you feel as if you share a part of its history. 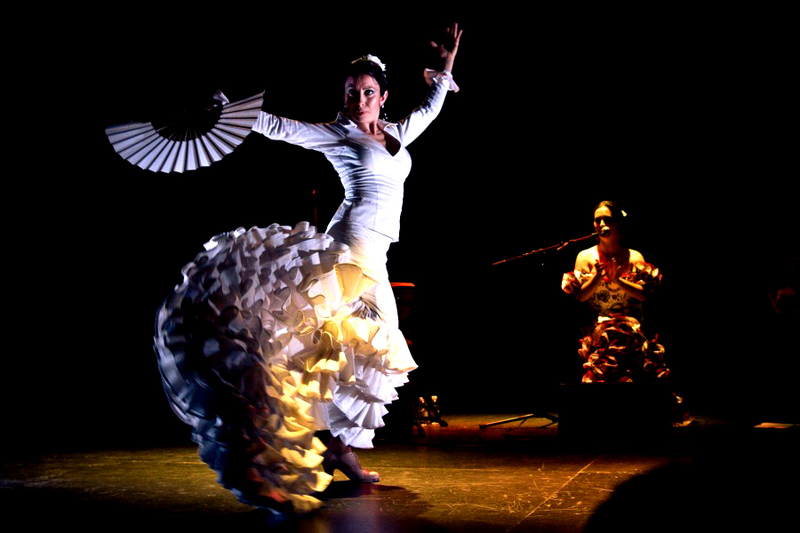 Spain’s most iconic song & dance form has roots in North African and Gypsy (“Roma”) culture. 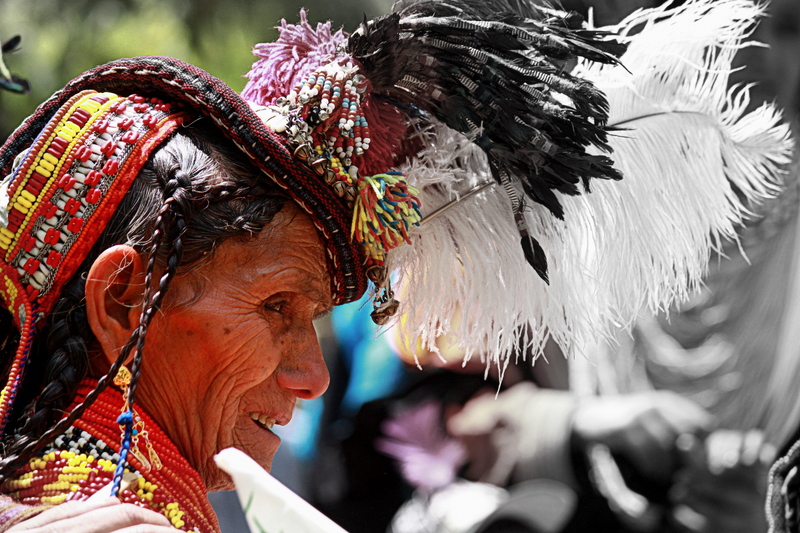 Roma people were originally from the Indian subcontinent, and migrated to Europe about 500 years ago. The mix of cultures produced a unique dance that emphasizes not feminine delicacy and beauty, but feminine power and strength – stomping, sweating, shouting and all! You gotta love it. Aceitunas have been one of the healthier additions to my diet since moving to Spain. 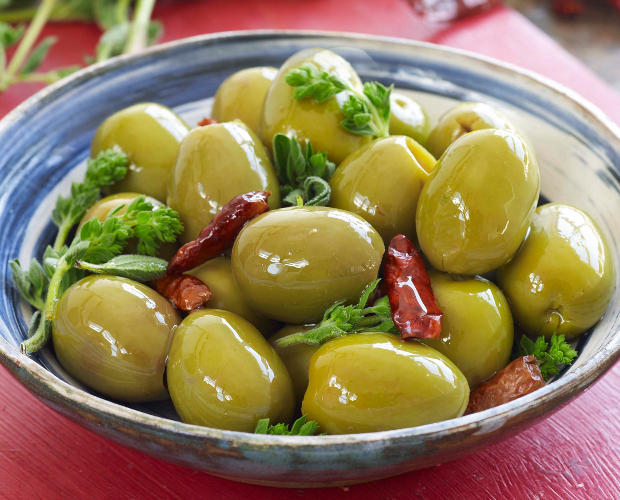 With the cultivation of olives dating to ancient Roman times and improved upon during the Moorish era, Spain today produces about 300 varieties of olives in all shapes, sizes, tastes and textures. Next to my mother’s hand-cured green olives from a family orchard in Pakistan, juicy Spanish olives stuffed with garlic are the yummiest snack I could ask for! Express yourself like a true Pakistani in the Spanish language! From Ojalá (Inshallah), Venga! (Chalo), Que? (Kya? ), Hermano (Bhai / Yaar), Adiós! (Khuda Hafiz!) even Ala! (Hai Allah /Allah Tobah! ), the flavor of spoken Spanish is remarkably similar to Urdu or Punjabi, with many words derived from Arabic. 9. “Laid back” – in a good way! Spaniards have a bit of a reputation for laziness, but from what I see, they work as much as any of their counterparts in the Western world, without the uptight fastidiousness. So, yes, a waiter will probably take 20 minutes to come and take your order, but he or she will also not pester you to pay or vacate your table until you are ready to leave, whenever that may be! Yes, most administrative offices, pharmacies and private businesses take a 3-hour lunch break, but when they serve you, they are always friendly, accommodating, and seem to genuinely enjoy their job, no matter how mundane it may be. I think the system works! 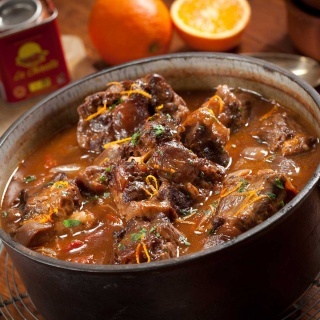 The Spanish version of a Pakistani Aloo Gosht or Nihari – succulent bull or oxtail, slow-cooked in its own stock and a rich gravy of onions, tomatoes, potatoes and other vegetables and spices, till the meat literally falls off the bone. Scoop it up with crusty pieces of bread just like you would do with Naan or Roti back home – riquísimo! Go for a walk in any barrio or neighborhood in the city center at 1:00 am on a weeknight, and find warmly-lit restaurants and cafes bubbling with customers, street performers juggling fire on the sidewalks, couples strolling along with little children in tow, boisterous touts trying to lure you into nightclubs. And the weekends? Soundproof windows recommended if you want to get any sleep! No matter the unemployment and fiscal crisis, the Spaniards know how to have a good time. In most places in the world, being addressed as “pretty girl” (guapa), “little girl” (niña), or “queen” (reina) by a complete stranger would be considered offensive, and probably make you uncomfortable. Not in Spain! Shopkeepers, street vendors, waiters, passersby, men and women can call you all those things in Spanish without a trace of sleaziness. Now why wouldn’t that make you feel good? Add to that their beaming smiles and ready greetings, it’s impossible not to feel happy and welcome in this country. 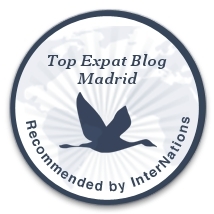 This entry was posted in Anecdotes, Expatriate, Home, Immigration, Life, Madrid, Spain, Tanks and tagged Andalucia, Chocolate, Churros, Cordoba, España, Expat, Festival, Flamenco, Granada, Harem Pants, Madrid, Moorish, Nightlife, Olives, Pakistani, Semana Santa, Spain, Things I love, Valencia.